Group One racing heads to Flemington on Saturday and whilst we are represented by just one runner, it is a major contender in the day's feature - the $500,000 Group One Australian Guineas. Nicely primed for the 1600m feature at his third run in, Merion was on the heels of the placegetters in the Gr.3 C.S Hayes Stakes at his most recent outing and that good run was his first defeat at Flemington. A dual Listed winner at the track, Merion has been set for the Australian Guineas with his love of Flemington high in Michael Moroney's mind. 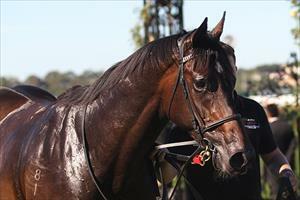 "We also nominated him for the Randwick Guineas but ideally we wanted to run him here." Confident of a bold showing from the son of O'Reilly, Moroney said that "he strips as fit as we can get him for Saturday." "Steve (Arnold) hopped off him last time and said that his run just came to an end late." Noting that, with just eight runs under his belt, Merion is a horse "still on the way up," Moroney said that a Sydney visit will follow the Guineas with races such as the ATC Derby, the Doncaster Handicap and the Queen Elizabeth Stakes all options. "There are lots of options for a good three-year-old up there."